Found a comfy place in Sgt. 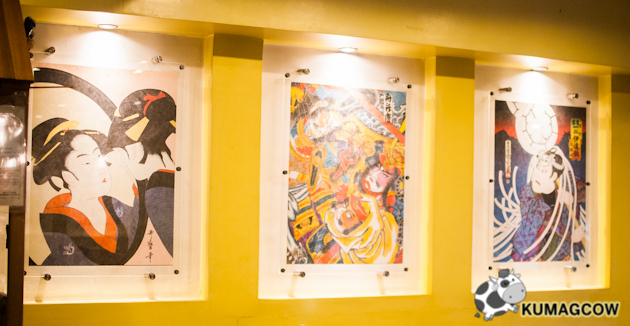 Esguerra at the Jardin de Zenaida compound which Livestock Restaurant is also in. It's very near ABSCBN and GMA so it pretty much has these two's lunch crowd and also nearby offices. 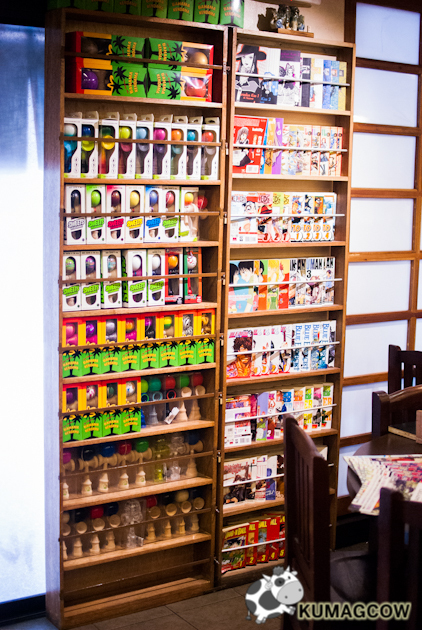 It's a Ramen specialty store called "GO-EN" The Japanese Ramen Shoppe. 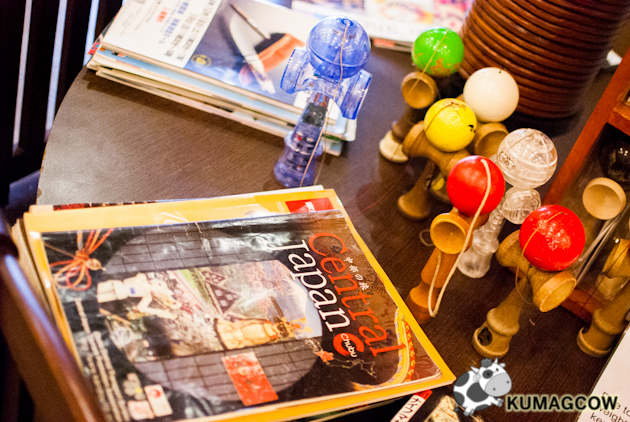 Go-en actually connotes the Japanese 5 Yen coin, a sign of GOOD LUCK for friends and relationships. It's usually given as a gift and this time, it's the perfect name for the store. 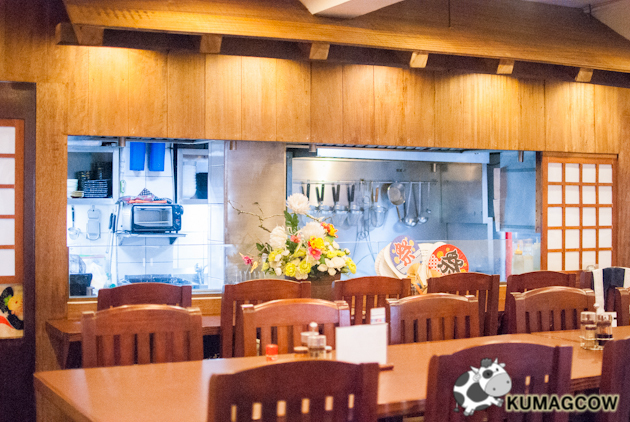 The place looks like a genuine Ramen shop in Tokyo, Japan. It can fit around 50 people in one go and has a few seating options for a group, bunk chairs and about 4 people outside. 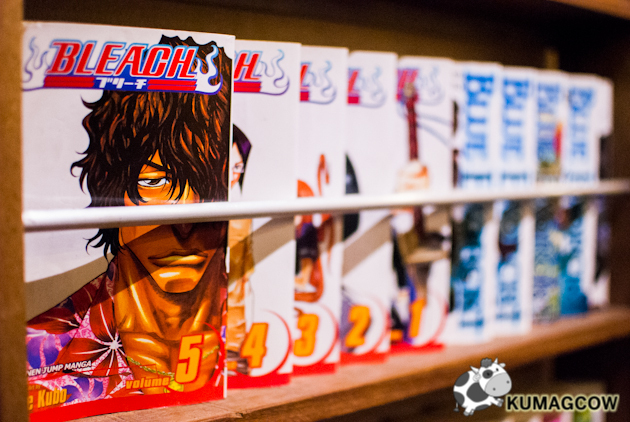 The wooden walls and chairs are accented by Japanese art, tons of Anime books (of which your favorites are included!) 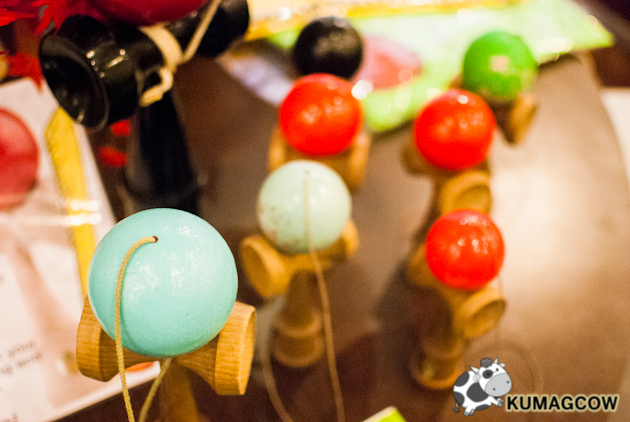 and a shrine for an old school wooden toy game called Kendama. They let you actually play it right inside the store and the concept is pretty simple. You just have to place the ball tied on the handle inside little slots on the toy. I must warn you, there are professionals that actually do this on a regular basis. 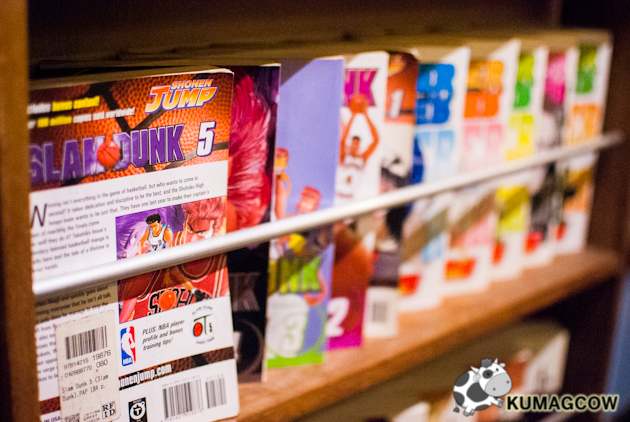 There are also tournaments designed for that, so just imagine if you picked up this hobby. 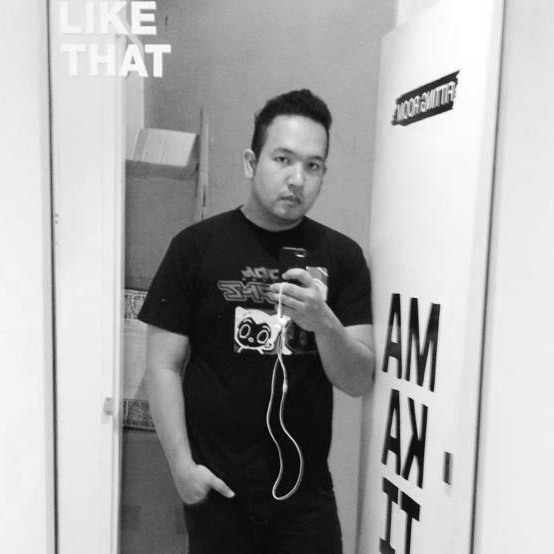 Check out these shots! Now you have to trust me on this, I think what they're serving is real authentic food. They're not a regional Ramen place (of which I have a thing for) but more so a Ramen restaurant that does Ramen right. Does that make sense? 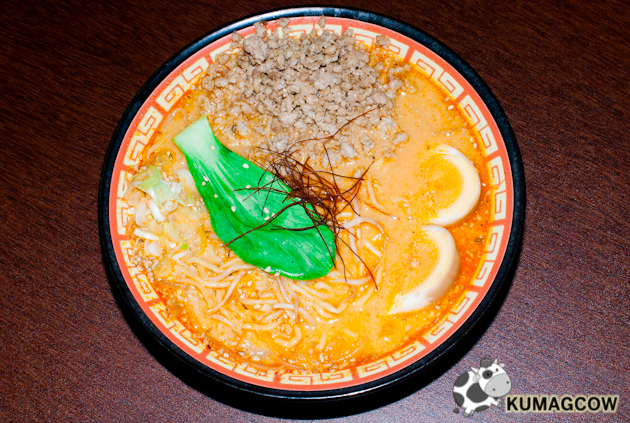 Tantanmen - Soy based broth with Sesame oil, ground pork, firm springy ramen and perfectly boiled tamago. It's spicy and perfect for those hangovers if you've been into a little binge drinking. This is by far, my favorite on their menu. 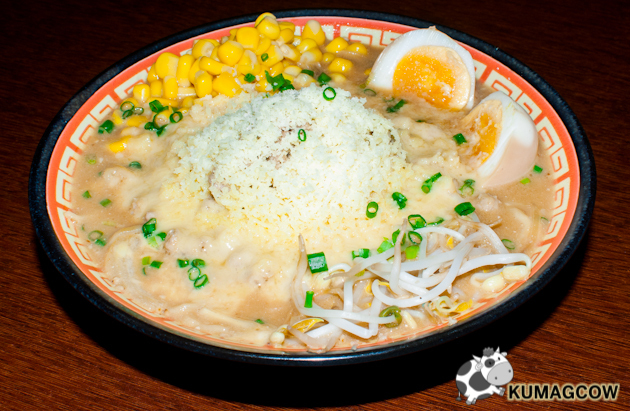 Cheese Ramen - This would be nice for the more adventurous foodie. They made your favorite cheese into a bowl of hot ramen. It's miso based broth, with corn, minced pork and tamago. It's not too salty as I thought it would be and the trick is to take little bits of cheese on that mound plus the noodles. The broth was good too, it'll make you warm and fuzzy. Karamiso - a Miso based ramen soup filled with a slight spicy kick. It's got all the things you love, plus sliced pork and my favorite Naruto. This is basic and they've done it quite good. 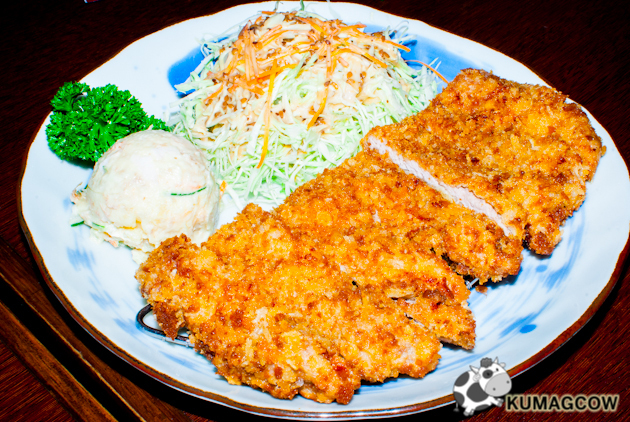 Tonkatsu - For those who love meat, this breaded pork cutlet will make you happy. You can order a bowl of rice but I prefer it just with the side of potato salad and cabbage slaw. I liked this a lot too. 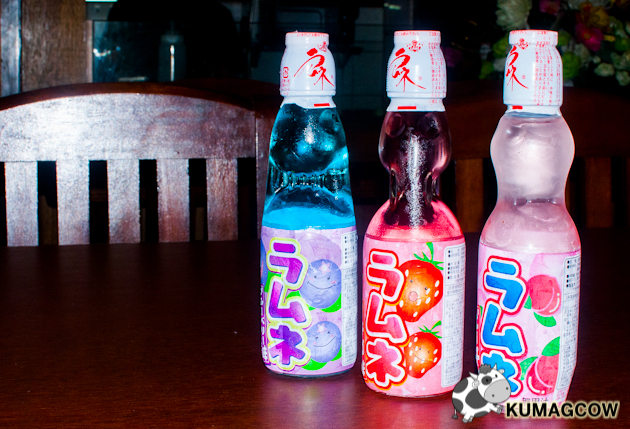 Ramune - this is something that you can only find here in GO-EN. 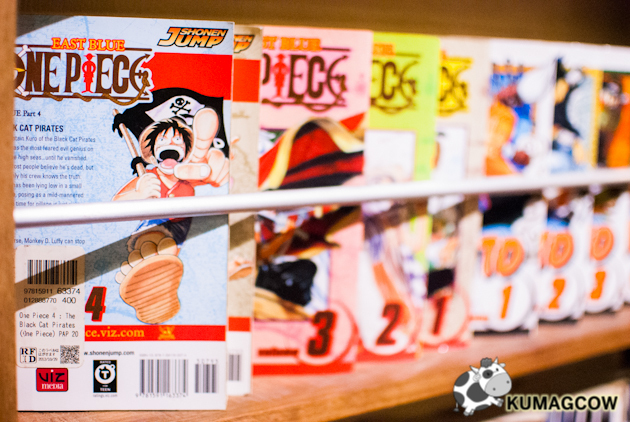 It's very limited too because they can only source this in Japan during festivals. It's available in Grapes, Strawberry and Peach flavors. 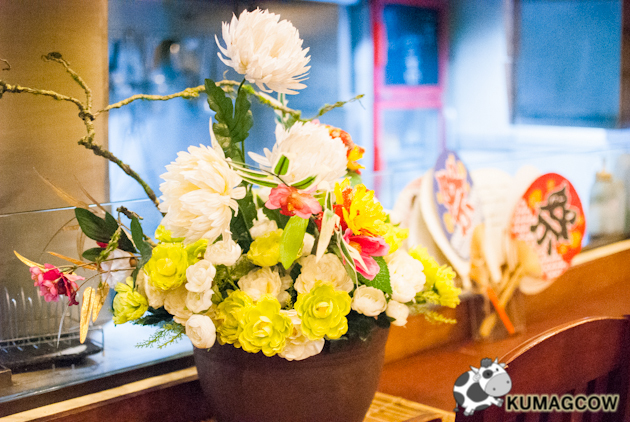 It's quite nice with everything on their menu so when in GO-EN, don't forget to order one of these! 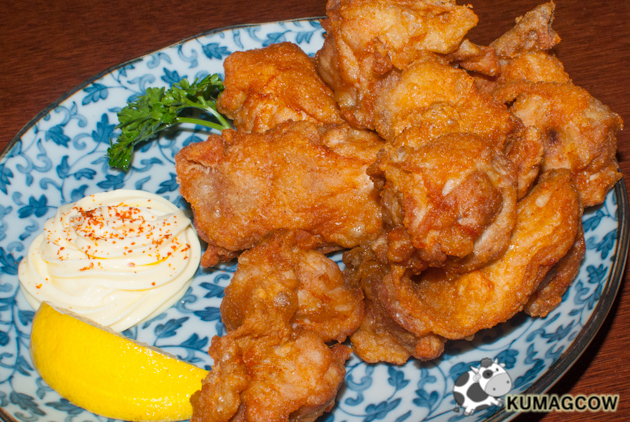 Kara-age - It's fried chicken done the Japanese way. It's small bites, paired with super creamy Japanese mayo and a slice of lemon meant to be drizzled on top. I prefer it without the lemon though, it's already lovely. 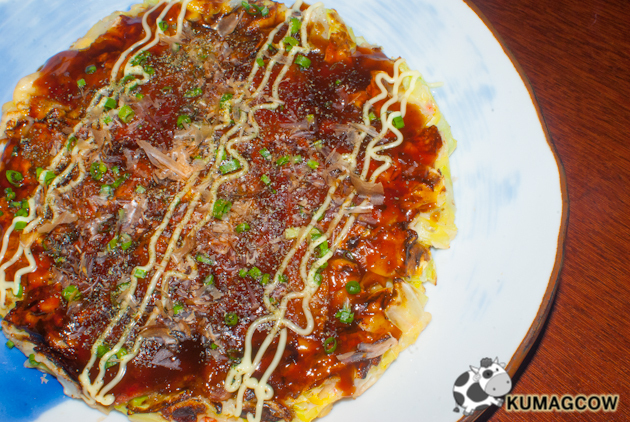 Okonomiyaki - This is a Japanese pancake. It's egg, cabbage, aonori, mayo and special sauce on top. It's savory but not my favorite thing. It's good but I suggest you get the more filling items on the menu as this probably would pass on as sides. 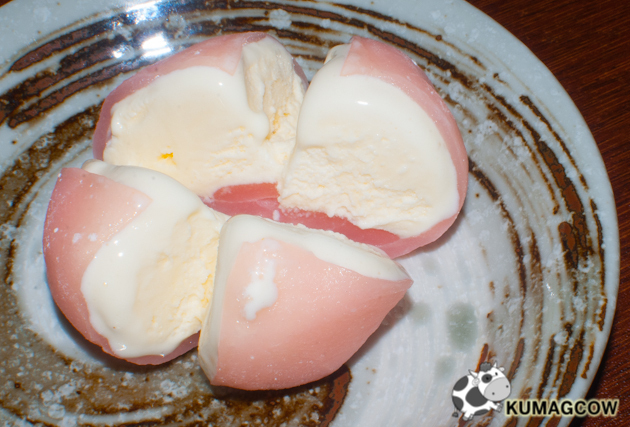 Mochi Ice Cream - It's soft rice based soft cover that's handmade. It's something delightfully sinful but they only make a few of these per day. They also limit it so they could serve a few handful people per day. 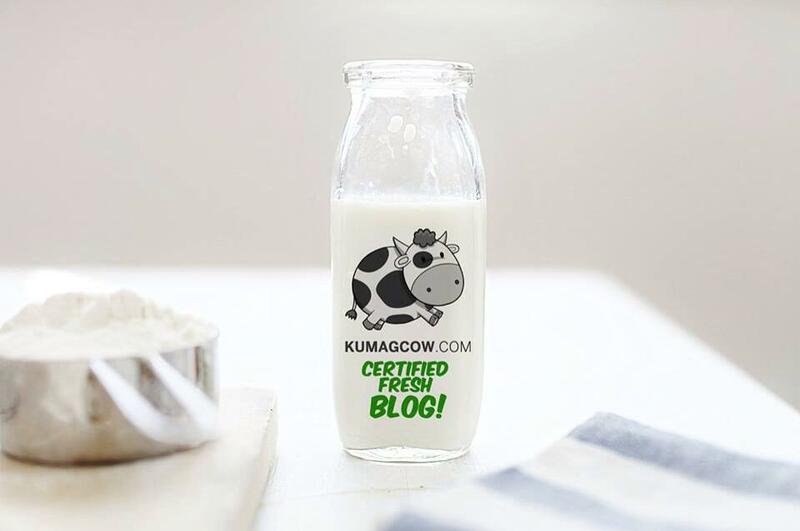 If you can, please order one of these for me. Love this! 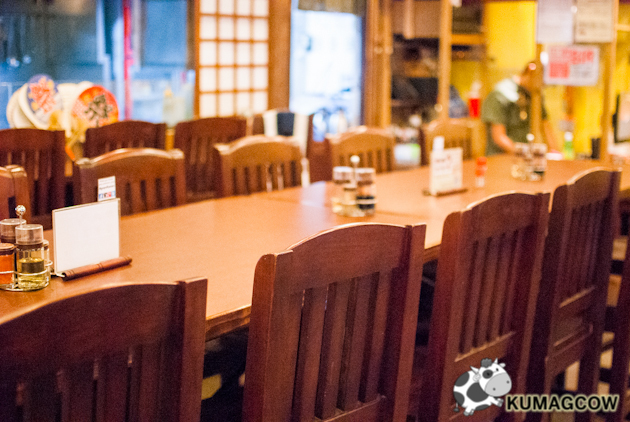 This place remains not so crowded and for those who want comfort food like ramen, this might be the easiest place to go when in Quezon City. I must admit, they're a little pricey but most of their ingredients are imported from Japan. If you think about it, you don't have to travel there to get something so good. Visit them in Sgt. Esguerra, here's the map CLICK HERE. They're at the back of Livestock so you can't miss it. 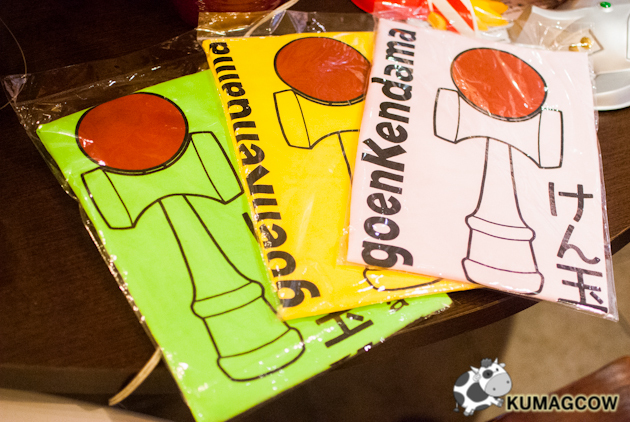 Play Kendama too if you're there, it's one of the finest things you can do when in GO-EN. 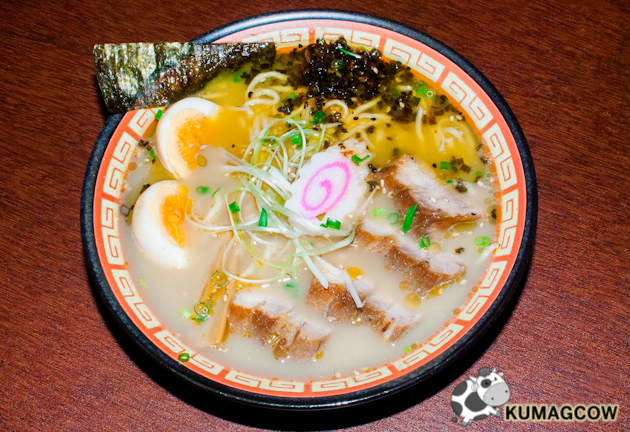 Tell me what you think about their ramen too please! For me, it's definitely worthy to try. If you're looking for a new place, this might be it.